Helmeted up. Ready for all the drama. 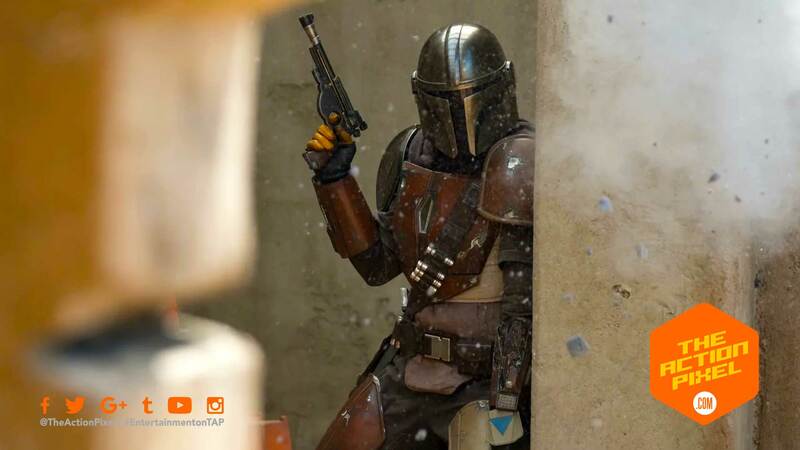 The Mandalorian debuted in a huge way at Star Wars Celebration and Underworld is coming to the surface with the release of images from the coming Disney+ Star Wars live-action series. The images feature The Mandalorian under some heavy fire, with actor Carl Weathers playing Greef, and Gina Carano with the heavy arms plays Cara Dune. The executive producers Jon Favreau and Dave Filoni also showed a behind the scenes featurette as well as full scene and trailer at the event.